Use vases of all different heights and it is sometimes fun to use buckets and other coloured containers or plates. Try to get a mixture of wrapped and unwrapped candy as it makes it a little more fun. 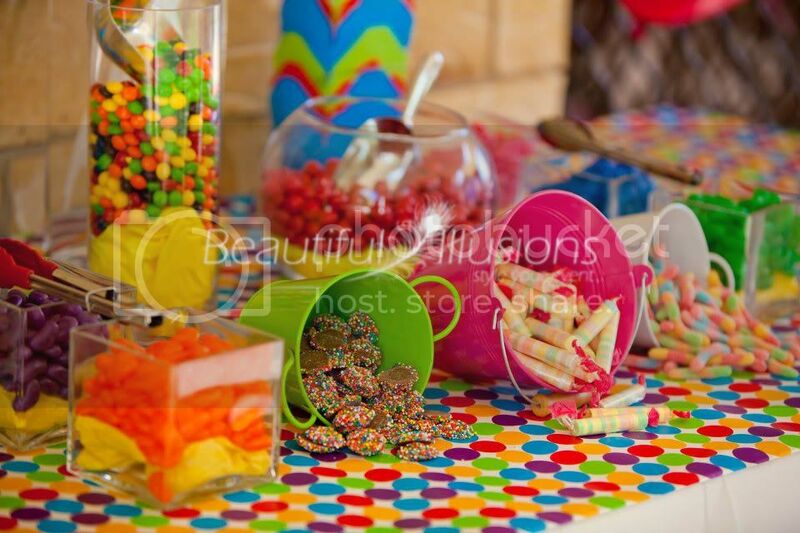 If you are using smaller quanities of candy then try to bulk the bottom up using some coloured wrapping or tissue paper as this will create the illusion that there is more. Don't use big containers or bags as the guests only need to sample, not to stock up for a week. Make labels that match your theme and colours as this will add the attention to detail. If you don't want to have to do any of this... call us and we will do it all for you! If you would like to see a few more photos from us then head over to our facebook page for some more! 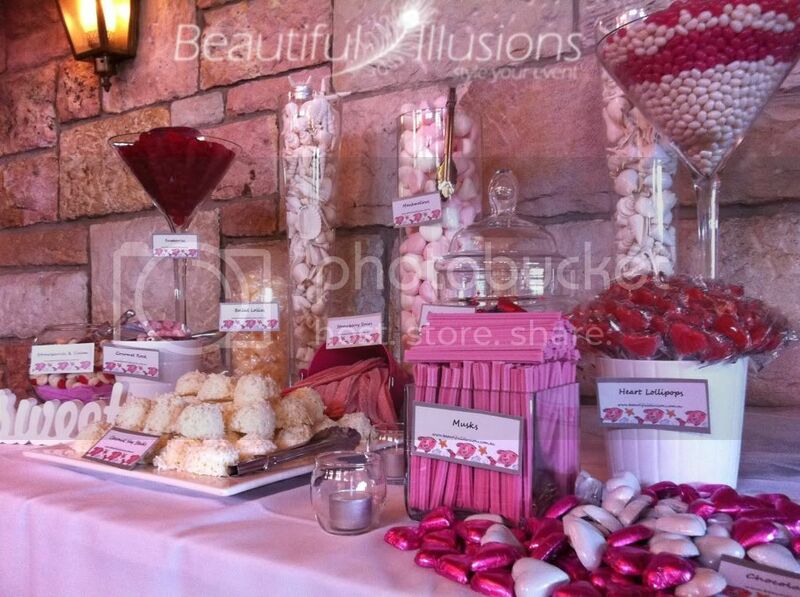 This entry was posted in Uncategorized and tagged candy buffet, candy buffet tips, candy jars, lolly buffet. Bookmark the permalink. From beginning to end, the service that Beautiful Illusions gave us was faultless. They were so helpful as at the start I had absolutely no idea how we were going to decorate our venues, but the girls gave me great suggestions. 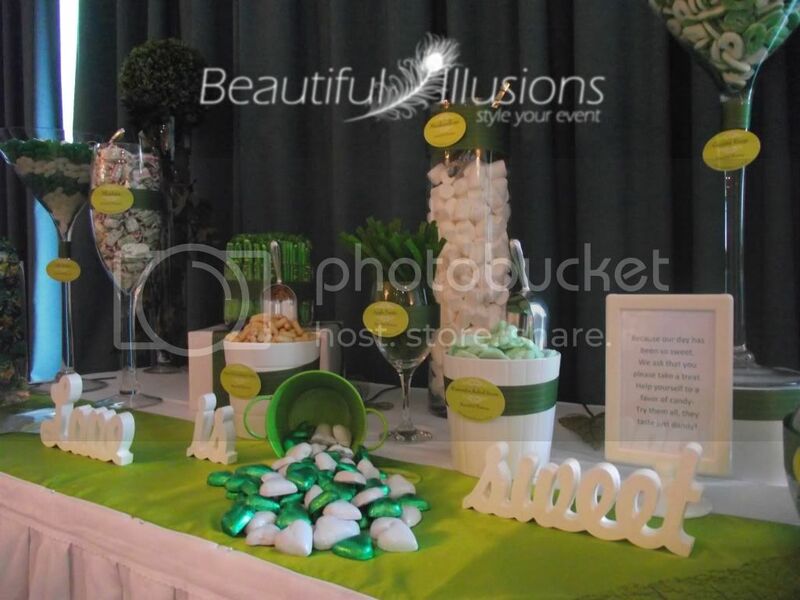 I arrived at my party stress free, knowing my centerpieces would be set-up ready to go. No hassles, no fuss. I would not hesitate to use your services again.